With the unveiling of Super Mario Run there's a lot of talk around Nintendo, its brand and its potential profitability. Share prices have jumped, which is something we've seen before with Pokémon GO; there's certainly a sense that bringing Mario to mobile is a key moment for Nintendo's efforts in the sector, and can have a positive impact on existing hardware sales and the upcoming Nintendo NX. That's certainly the focus of this article by The Wall Street Journal (subscription based), which consults a variety of analysts about Super Mario Run and its importance to the broader Nintendo picture. To get the NX part in first, article author Takashi Mochizuki cites analysts as saying they expect details on the system "by early October". That's certainly logical, as hitting a March release requires a period of time to reveal the concept, build anticipation and line-up pre-orders and retail relationships. In terms of Super Mario Run, Dr. Serkan Toto is referenced as predicting one billion downloads for the game, which would be hugely impressive; bear in mind Pokémon GO has only just hit half that number, 500 million downloads, and it's a record breaking app. Long term it could be possible, though, and it was clarified that this is referencing downloads of the free initial offering; players will have the choice to pay a one-off cost for the full game. WSJ points out that, in the case of Pokémon GO, there were increases in sales of main series Pokémon games on the 3DS alongside the app taking off, which we've seen in chart results. Hideki Yasuda, an analyst at Ace Research Institute, highlights that smart device releases join other efforts from Nintendo in serving as marketing efforts, increasing brand awareness and directing consumers to its dedicated gaming products. Smartphone games, theme-park projects and all other character-licensing deals are just a marketing tool for Nintendo to let people become interested in its console games. 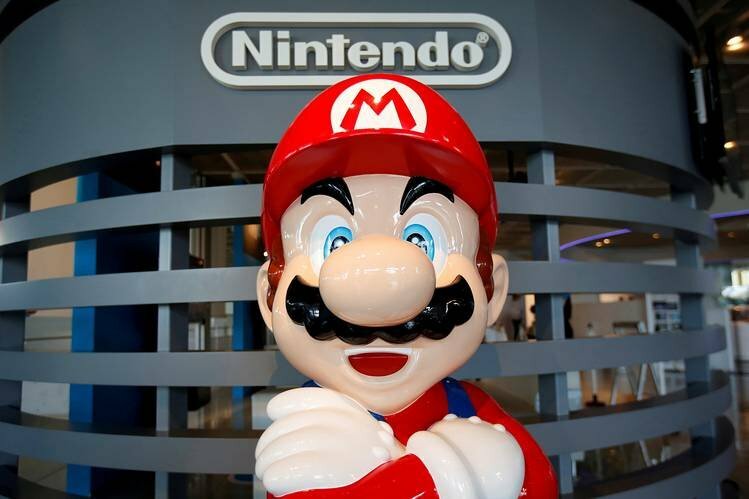 That goal to guide smart device owners and other consumers back towards Nintendo's consoles can, as we argued recently prior to Super Mario Run's unveiling, be a significant positive for the company. 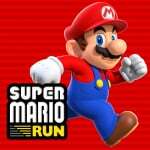 Do you agree that success for the Super Mario Run game can be a benefit to systems like 3DS and NX, and do you believe analyst predictions of an NX reveal by early October? Let us know in the comments. The real test is getting people to buy the full game. Nintendo really knows what they're doing here. No one, at least not me, likes having on screen buttons take up have the screen, and Nintendo gets this. @Inkling Depending on pricing, I bet loads of people will. Or if they release level packs, etc. I didn't thnk you would write this story, though I suppose there's 2 parts to it. These so called "analysts" know about as much as us and are just guessing when predicting the NX reveal date. The fan in me thinks October is still a million years away and can't wait that long. Wake me up when September ends...But Nintendo probably knows best and has everything planned for months in advance. Regarding Super Mario Run, they don't want it to be too cheap either. I reckon something in between 5 and 10 €. Can't Nintendo just reveal the d*** thing... So that we can get new and exciting games again! I think Super Mario Run will give Nintendo the opportunity to hide NX details for even longer. "Things looking exceptionally good today for Nintendo; Pachter nowhere to be seen"
I have a feeling the NX is gonna be delayed with the reveal being as late as possible but I don't mind of it. @Grumblevolcano I wouldn't be surprised if Nintendo delay the NX until Christmas 2017. It would be typical Nintendo. But surely they can't though. There's too many wheels in motion. Edit: Scratch that. There's no way it'll be delayed that long. I was joking. Edit 2: Who are these analysts? I'm telling you now the NX will be revealed next week. @SLIGEACH_EIRE I'm pretty sure this time they will be sticking to their guns. You have to remember the Wii U has had NO games announced since E3 and that was just for Breath of the Wild. By this point all Wii U games have been moved to the NX. If they delayed it until Christmas the 3DS would be only source of substantial income. That would be 9 months of silence from Nintendo on the home console front. Not going to happen. I wish they'd just reveal NX now. I understand why they would wait as long as possible - Apple reveal their products a week or so before they hit stores. People consume tech so much quicker nowadays. @SLIGEACH_EIRE The Wii U is as dead as it could be. You can't keep a corpse on store shelves for that long. If that was the case, they would at least make some more "amiibo festival" stuff to fill in the gaps. I only hope we're not gonna keep sliding predictions forwards. We all expected the reveal in September, now in October, nothing exclude that we'll have to move our expectations to November, December, January... Till eventually the reveal in March "The new NX console will be aviable in stores shortly after this presentation"
"Analysts" expected an NX reveal during TGS too. What happened to that prophecy? @Samurai_Goroh I edited my post. Ya, they can't wait any longer. And yes, the Wii U is dead, arguably for years. @Grandpa_Pixel Don't forget the mobile games, they would play a huge role in allowing Nintendo to delay NX reveal and release. @Godlike_Virus They will, but you've to wait until next year. October is too late. Yes they said "BY EARLY OCTOBER" but that still means it could be revealed in October. The NX needs to be revealed this month if it's coming out in March. The NX needs to be revealed at least 6 months before they can release it. October to March is only 5 months. If the NX is revealed in October or November, they are gonna have SERIOUS problems trying to get the system ready to launch in March, then they would have to push it back to like holiday 2017. If Nintendo finds out they can't release the NX in March, they will definitely wait til holiday 2017 to release it. I don't think they would release it in the summer cause that's not really normal for Nintendo. At the end of the day, an analyst is just a person like us... Plus I think it's pretty obvious that Nintendo will reveal the NX by then. I'd be insanely surprised if they waited for the holiday season to reveal it. I personally think they will hold off a public reveal until February. Too much noise at Christmas time and with it not available to buy until march anyway, dont hold your breath. Who has launched anything 6 months ahead in the tech sector lately? Nobody! You only get 6 months to sell the thing, you want it on shelves and available weeks after announcing it. Pokemon go, the fad is over, everything else they sell for it now will tank in comparison to the initial wow this is new factor. This is the instant digital gratification crowd. Anyway time will tell, but I think 6 months is too long ahead to announce anything, they just need a good lineup of software on day 1 and a solid monthly release schedule for the first 12 for kids to beg their parents to buy it. Maybe Wii U will ended up just on 4th Anniversary. And NX will take over Wii U position as Rebirth version. For so long we've know the next console as the NX, and we've been listening to what the rumours say it is. Nintendo needs to reveal it quickly so they can start to build hype for whatever it actually is. So they can get internet trolled about how bad it is for 6 months? I very much doubt it. There are literally dozens of sites just like this one nowadays, internet time is short, and judgements are made wayy to quickly nowadays. They want the thing in stores for people to try asap after announcement I think. Super stoked! However I'm dying at the same time as I own a Samsung Galaxy S7 edge! Hopefully it won't release too long after its debut on iOS..
i still say they'll reveal at ces. they are going as mass market as possible. the mobile visibility and now even an appearance at an apple event really show that. there's still that looming question of backward compatibility. there are big 3ds titles coming up and if there weren't b.c. then they are screwing the promotion of one or the other, and likely affecting both. @crimsontadpoles At this point, I would be satisfied with a 2 minute video showing us the real name and logo. Plus a little tease on the console itself. An holiday 2017 release is just suicide, imo. @Equinox There's also NES Classic Mini in November 2016 as well as the FE and AC mobile games in Q1 2017 (with the 5th confirmed to be after March). Definitely enough on the non-Wii U front with there more than likely being even more stuff that's unannounced for mobile and 3DS such that NX could release in November 2017 if need be. As for Wii U. maybe some more Nintendo Selects. One has to wonder if the reason he predicts that the app will be downloaded 1 billion times is just his way of making his Nintendo stocks even more lucrative or if he genuinely believes this. I think now that both Sony and Microsoft have laid all of their cards on the table regarding their next console projects, I think a reveal of the NX will be coming soon. This isn't to say that the system will compete with the Pro or Scorpio, but the reveals have happened and that means the mystery hype surrounding those consoles will be gone putting the NX in the spotlight when it is revealed. This will be a good test of Mario's strength as a brand and general popularity. Unfortunately, I haven't played an app game for more than a day or two and I've been a smart phone owner for 5 years. It's not for a lack of enthusiasm-I've played the ray man endless and thought it was well made and enjoyed it. Still, I've may have opened the app...twice?? @Grumblevolcano Actually I don't think that has an effect. At least not the proposed 9 months to christmas. You have to remember not everyone wants mobile games. "That redirection back towards Nintendo's consoles can, as we also argued just prior to Super Mario World's unveiling,"
I doubt it. They still need to be targeting March. If they miss March, they'd need an incredibly good reason as they've confirmed to there investors to expect it before the next fiscal year (April 1st), and if they miss that, it could cause them some serious legal backlash. Makes sense: if mass production begins in October, they'll want to get it out there before leaks start coming out. Besides, NoC said September so we've still got a while left. When the marketing tools generate more money than the console games, things can turned upside down very quickly. @ottospooky Value is going to be strange for it. I could see it between £5.99 - £9.99. I'm going to randomly guess that the March2017 release was just a placeholder. It'll be revealed in the next 30 days with a holiday2016 release and a slew of new+remastered video game support through March, then Breath of the wild releases. @Nintendian True, but a lot of them are fleeting whims. Look at Angry Birds. Massively popular. Became dead in a year. Now milks it. Ugh, I still think that people who primarily game on mobile devices comprise the subhuman peasantry of gaming, but if the peasantry must be appeased, then so be it. I will still snub them though. I wonder if this isn't the start of a larger ApplexNintendo relationship. Getting Miyamoto at an Apple conference is a big deal. Apple must know any Nintendo exclusives, even timed ones are quite the coup for iOS. I watched the Mario Run reveal and it felt like corporate humiliation by Apple over Nintendo, Cook boasting 500,000 games on iOS and the most gaming devices ever, then wheeling Miyamoto out was sad for Nintendo. PS4 Pro was also announced yesterday. Stupidly more powerful, and only $400. And out this November. In other words, the NX is going to be outdated tech when it finally gets released in November... of 2017. Nintendo has a MAJOR problem right now. September 7, 2016 may go down as one of the darkest days in Nintendo history. I really hope the NX is appealing... but I fail to imagine it stealing interested away from Sony or MS gamers, which is who Nintendo needs to attract if they don't want to end up a 3rd party mobile developer. Or maybe that's their plan? @Zanark "Buy the rumor, sell the news" is sound trading advice in our brave new world. If you don't believe me, just look at the stock chart for Nintendo. Spikes ahoy for rumors and predictions of increased profit potential, then dips for Nintendo press releases. After what seems to be a meh reaction to the PS4 Pro, I think a NX reveal is probably coming soon. Seems like Nintendo is looking to get the last word and along the way, mess with it's competitors with some well timed surprise news releases. @XCWarrior NX is due to be released by the end of fiscal year 03/2017. That means the deadline is 31 March 2017. Unless Super Mario Run is a major success to investors (which it won't - analysts are overhyping it after Pokémon Go passed them by), Kimishima and the Board of Directors will lose investor confidence if they screw up yet another revenue stream. @JibberX They intended it to be that way. The rest of the presentation, however, was utterly terrible. In a sense, then, Nintendo saved Apple's Keynote. Nintendo was why Apple's Keynote was atleast worth something. @Equinox If the NX Isn't revealed by THIS month, then it won't launch March. as long as Mircosoft and Sony stick to their policy of these new machines not getting exclusives (outside of VR) then Its not an issue for the NX an HD handheld first device, Unless you have a 4k screen you wont get the booted resolution or the (actually) delightful HDR lighting anyway. Didn't WSJ say the NX was going to be revealed before September 15th AKA before TGS? @abe_hikura Some Japanese analysts said at TGS. I personally would expect it to be at an American event or online to get even more coverage from western media. @abe_hikura They did. But these so called analysts suddenly seem to think that Nintendo can ride the crest of the wave on the back of Super Mario Run from the buzz until October now. It's not going to happen. NX reveal is coming next week. It's what I've been saying for months. @SLIGEACH_EIRE the difference is they are getting paid for it. @JibberX 500 000 "games" and how many do you play? @Kogorn733 There are some great games, but there's an insane amount of shovelware. Marvel Puzzle Quest and Kairosoft games are stuff I like on smartphones. By early October?! They need to show it at the Tokyo Game Show AT THE LATEST. As for pricing, I was expecting Run to be free but I guess not. @Grandpa_Pixel Well if Nintendo wanted to do that then surely they'd have released more Wii U games. The money makers (3DS and mobile) are what matter to them now it seems. You left out TGS, Gamescon, March, April, May, July and August. I'm predicting a Feb reveal and an August launch. B/c why not? The only thing I havent' worked out yet is if they tell us it's been delayed to August during the ND or before. Stock is doing really well on the SMR reveal, they'll probably let that ride a bit, do a bunch of insider trading selling some, then announce the delay in October at their financial briefing for Q2. I don't know the meeting date, but they release their records on Oct 26th. If we don't 'hear something by the 25th, it's probably been delayed. 'By Early October' canteen September lol. I still say nintendo is trying to outdo the saturn launch. I'm betting on the last week of September (maybe the 27th or the 29th) because the month is pretty crammed before that, and the early October has a lot of things going on too. There's literally nothing that I know of in the last week of this month. I was half-expecting a Pachter quote, but was pleasantly proven wrong. Every company is doing what they think is the right thing to do. Microsoft is doing a "true next gen console” with Scorpio, while Sony is using his marketing powers to make people believe PS4 Pro is powerful, when it isn’t, the 4k is fake, it's just using rendering techniques to make games look prettier (they even said that during the conference masked with a lot of technicalities), PS4 Pro is an useless console with no real purpose whatsoever, it’ll have no exclusives, it’s expensive, and it ’s using outdate technology meaning it’ll last for 3 years (it’s a 400 dollar DSi or New Nintendo 3DS), meanwhile you can expect Scorpio to live at least for 8 years or so if it’s as powerful as a high end PC. Nintendo, on the other hand, is the only company that is adapting to the current mobile era, they showed exactly that during the Apple Keynote, making it the strongest company of the three, they also understand how the gaming industry is currently working, in the past you could see announcements of games that would come out two years after their unveiling, now it’s not the case, most of the current games are announced 4-6 months before their release, people is impatient, as some have proven saying Nintendo is doomed if they do not announce NX soon, so an early October or late September reveal sounds about right, specially with TGS distracting people for a while. Sony, as some experts have claimed, has a 78% chance of going bankrupt in the next 2 years, while Nintendo has 22%, and I’m pretty sure those numbers have increased and decreased respectively after yesterday’s announcements, Nintendo is doing the right thing as a company, some of us might not like it, or even understand it, but it’s the best thing to do nonetheless. @Slim1999 Well I suppose they are over due to get something out when they said, even they can't delay everything. @rjejr I imagine they would initially want the NX to release this year, but have encountered hardware productions issues so they announced it to March 2017. "industry leading chips" and whatnot. This year would be ideal, March might work out, but Holiday 2017 is too late to catch the train. I sincerely hope they meet the deadline this time. And besides, delaying NX would likely mean delaying Breath of the Wild yet again. And they must be sitting on a finished Wii U version for months at least. And the universe might just explode it that happened. I don't know if I believe the early october unveiling . But I donly believe it's a little late. We should have demos sitting in stores for Christmas. Just to get the public in the loop. And again it's just a guess. At this point I wouldn't be surprised if we hear nothing about it for the rest of the year. @Samurai_Goroh "And the universe might just explode it that happened." I think the universe might explode if Zelda Wild ever released on anything. Though if FFXV can finally release, I suppose Wild can too. I'm just so sick of all of the delay announcements. And so sick of no actual NX reveal, not even an announcement for the date of the reveal. I add those 2 up and I get NX delayed. Simple math. The 1 encouraging thing you did say, which I'm almost certain must be true based on Paper Mario being the only Wii U game we know about for the next 6 months, is that NX was probably already delayed from holiday 2016 to March 2017. Because really, what company is going to announce a hardware launch for March? So it could launch in March, b/c March is a stupid month to launch a console. They might even be better off launching it in August, use the mean time to promote 3DS games like Pokemon and ACNL, and app games like Mario Run, AC and FE. And E3 could be chuck full of new NX games. Build the hype after the holidays, not during. And why has Nintendo already announced an ND for Nov 2nd for an update of a 3 year old game but they haven't announced their NX reveal yet? That bothers me. It's possible, but they would have to put up a bunch of games for the wii u. I don't see that happening. It's obvious Nintendo has given up on that system. I'd go as far as saying that the last two years of titles for the wii u got switched over to the nx for launch and first year. @rjejr I wonder what will happen first, the NX reveal from nintendo, or NX's start getting warehoused for distribution to retailers. Nintendo announced the NES Mini about 4 months before its release. So, you gotta figure Nintendo would have to reveal NX at least that far in advance and probably more due to the significance of the platform. So, I'd expect an announcement pretty much anytime between now and end of October (not a huge leap, I know). My worry with mobile is that games could look better on a smartphone than games on NX - if the rumoured handheld/720p screen is accurate. And with senior developers working on mobile titles, it could delay NX titles. Nintendo could be competing with $650 devices that can be subsidized through carriers or payment plans. Those devices would have higher resolution screens and yearly updates to hardware. I'm not sure if an Apple A10 is better than a Tegra X1 but I think it could be difficult for NX to stay ahead of mobile. Which is kind of the problem with using mobile to draw consumers to a, potentially, inferior product - with the exception of physical control buttons. I'm still holding out hope for a more dedicated 'console' like experience but there haven't been rumours to really indicate that to be the case. Another random point - the NX mockups keep showing circle pads but there was an Iwata asks that described why they changed the gamepad from circle pads to c-sticks - because they weren't comfortable. Would seem odd to ignore that decision. @Sir_JBizzle I've always thought November would be the approach. But after the surprise announcement of SMR being released this year in December makes me wonder if Nintendo plans to alter their strategy and announce NX (Nintendo Experience?) at the beginning of next year. In order to maintain a November reveal they would need a large media platform to announce it, explain what it is and hope that drives preorders. Seems like a tall order to achieve and a reason why I don't think preorders is ultimately the goal. Nintendo has a steady as she goes approach, meaning, they'll announce bits and pieces of it from November right up till launch which makes sense as you don't want to cram and overload your audience with too many details all at once. They'll do what they always seem to do in these recent years; explain things in more detail at a later date. I think that strategy only works for new iterations of already successful (in the case of Apple, massively successful) hardware. The NX is a completely new and unknown product following up a barely, modestly successful one. Alternatively, I doubt Nintendo expects to, over the next six months, drum up so much buzz solely on mobile that the general market will be so clamoring for any information as to make an Apple-style conference and release effective. Wow, how could Sony have bigger risk of being bankrupt than Nintendo ? BTW, are you from Indonesia ? Because I'm from Indonesia. @Laki2 With PS4 Pro, you're forgetting all the people who want to play PS VR games on a console that can handle it smoothly. @3MonthBeef If vanilla PS4 is compatible at ALL with PSVR, they need to make sure it can push a bare minimum of 90fps. 90-120fps isn't just a "nice" thing to have for VR, like high frame rates are for a standard display; it's necessary. Sub-90fps can cause severe disorientation and motion sickness (which is why the VIVE automatically shuts off if your computer isn't pushing 90+ fps to the headset). I'm actually starting to accept that Nintendo might only announce the NX next year, maybe like January 12, or something. I just don't think it makes sense anymore to announce it before the Holiday season. It wont stop people from buying PS4s and XBOnes during Christmas, so, why do it? @Yorumi Funny you should say that. My wife is in publishing, the book production side, she's in charge of making sure all the books made in China - lots of them - get to the US in time, which takes a solid 6 weeks. So she says Nintendo would need at least 6 weeks to get them here, plus time to roll them out for a nation wide distribution. So lets say 7 weeks. Mid-March would be 10 weeks into the new year, so they'd have to ship by early January, which would at least be after the holiday rush. So yes, it's still a few months out, but at some point scalpers are going to be selling these things on eBay before Nintendo even announces it. NX don't grow on trees. @rjejr That is interesting cause I never knew how much time it actually took. It really is going to be funny if NX's start arriving in the US before it's even announced. I completely agree with that notion. If they would have announced it earlier then instead of rumour articles we'd have "Why the insert-actual-name-of-the-NX won't be successful" articles. I don't get why some people are so fixated about the reveal, there will be enough time to advertise the console either way. You can't be serious! From what I've seen the reception of the PS4 Pro was rather lukewarm. People are saying the event was boring. They ridicule the lack of 4k Blu-ray playback and the design of the Pro. I'd say that thing is also quite out-dated. Those are consoles and not superpowerful PCs. Not for that price. I wouldn't be surprised if an ad campaign and marketing strategy has been bouncing around for the best part of a year or more, not counting packaging design, the logo itself, typography etc. A well thought out campaign and message doesn't need 6 months to get the message across to the world once they agree on how they're trying to communicate. That stuff's already been worked out long before they even announce the machine. @Rin-go "I don't get why some people are so fixated about the reveal, there will be enough time to advertise the console either way." I work in advertising so know how long launches take, I was involved in pitches for the Dreamcast ad campaign a good 8 months before it launched in the UK, obviously every market has to be launched in a different way. Ad agencies around the world will have already been chosen and will no doubt be coming up with material now. Every time we pitch or pick up a new client before we even get our first brief we sign NDAs. @ThanosReXXX It's going to be quite funny when real NX's are on ebay before nintendo has even announced it. Hey, it would be awesome if they made an announcement on October 2nd—my birthday! @WiltonRoots #100 All true. People put too much stock in the amount of time between reveal and launch. Wii U was revealed a year and a half before it launched, and that clearly didn't help. Nor did the fact that it launched during the holiday season, another detail people erroneously fixate on. The lesson Nintendo HOPEFULLY took from all that, and that Nintendo fans should take as well, is that none of these pre-launch details mean a thing if the system isn't supported with an aggressive and targeted marketing campaign. The messaging around Wii U was flaccid and advertisements for the system were extremely infrequent, which rendered the big/early reveal and launch timing completely irrelevant. If Nintendo learned the right lessons from Wii U, the length of the pre-launch hype season shouldn't matter all that much for NX. I'm actually irritated with Nintendo for building this system up so much. If it does not deliver, I think the backlash will unprecedented. As always I want them to succeed but I have my doubts this time around. And even that is still not powerful enough to cause anything of the likes of a paradigm shift in the gaming industry, ESPECIALLY since both Microsoft and Sony have clearly stated that ALL games released must work on all models of their consoles, so the base models will remain leading. Only some special games for VR and such will be made exclusively, but they cannot alienate a total of over 62 million gamers that now have these base models in their possession. That means that games will only be upscaled, or will have extra assets on the disc that will be used when played in one of these upgraded consoles. Sony called it a "NEO mode" which could be included in a game if developers wish to do so, but the game must still work on a standard PS4 as well. So, that means that we now have two upgraded models console, were one is 4,1TFlops, and the other 6TFlops, but the PS4 Pro will still be using the same base CPU with only a slight boost in clock speed, whereas the Scorpio will use an entirely new custom chip (one of the recent AMD semi-custom design wins) that also has a much improved clock speed, so in comparison, the PS4 Pro has already lost. But it isn't and neither is the NX. Whether it will be revealed this month or the next and whether or not it will be as powerful as a base model Xbox One or anywhere in between PS4 and PS4 Pro, as the latest rumors would suggest, that will be more than enough, as long as they handle their marketing right and as long as they do indeed have made a console that is easy to develop for. The only company that can make Nintendo fail, is Nintendo themselves. Calling yesterday the darkest day in their history is laughable at best. I'm even pretty sure that not a single person at Nintendo HQ was even impressed or the least bit worried. And they also don't have to get the attention of the current Xbox or Playstation owners. All the people they need are already in the fold: a total of around 60 million gamers, that already own a Nintendo console and/or handheld. Some of these are handheld gamers only, but seeing as the NX platform will cater to both demographics, all they will need to make it successful, is to get the majority of that group interested in these new devices. And the 6 months is more than enough to do marketing, manufacturing and distribution, so there's really nothing catastrophic going on as of yet, as far as we know. And if they hit it out of the park with their presentation and marketing, they will do just fine. @WiltonRoots That's entirely correct. I can completely agree with what you say from a professional standpoint. Don't believe I've ever seen you mention your profession before, but in my own profession (sales & marketing) I've worked with quite a few people like yourself, so I have first hand experience with trajectories like these. It's actually kind of funny to see so many people that haven't even got a single clue as to what they are talking about, spelling doom for the company. @ThanosReXXX I think some people are under the impression that Nintendo will announce whatever the NX is and then go talking to advertising and marketing people after their presentation about how they're going to sell it. That's not how these things work in the real world. @-DEMISE- I somehow doubt that whoever was behind the Wii U campaign will be allowed to touch this campaign. what happened to the "analysts" prediction of a sept reveal? @WiltonRoots haha, I sincerely hope not. Assuming someone actually was in charge of marketing Wii U. I would only be mildly surprised to find out that Nintendo just forgot that was something they were supposed to do. "It's actually kind of funny to see so many people that haven't even got a single clue as to what they are talking about, spelling doom for the company"
@WilliamCalley But in all seriousness: I always try to look at the good qualities in people, except when people go online, they tend to become different beasts. Regardless of age, I would kind of expect even someone of say, 18 or 19 years of age to understand how certain things work and would be able to apply logic to some topics. That is not restricted to age, and even at my age and with my experience, I'm also still learning stuff from younger people, so it's not that I am really trying to ridicule younger people on here (if that is how it came across) but more that I actually expect better of them instead of jumping to all these "Nintendoomed" conclusions. I think it's great. Nintendo has been relying on their core fan boys too long and need to open up and let the masses get to know their IP. My kids are very interested in Pokemon now. Only because of Pokemon Go. Now they can get into Mario too although they already play it on their 2DS. Lol: Now that nothing is happening in September (so far), they predict October?! And if nothing happens then either, it will be November?! @ThanosReXXX Latest word is that the PS4 Pro was the 2nd of the design wins for gaming, so the last one could only be the NX. Yeah, just because we haven't seen anything yet doesn't mean that things aren't in the works right now. Even if they would have revealed it a year ago we wouldn't see advertisements until like a few weeks or months before launch. That why I feel that there is no need to be that fixated about the reveal as long as they make enough time for advertising. It seems Nintendo is trying a different approach this time. @ThanosReXXX I love your optimism. But the majority of gamers want power. If PS4 Pro is 2x as powerful, ans Xbox Scorpio is more than 2x its current power... and the rumors are the NX isn't even as powerful as the PS4 or original Xboner, it's going to be at a huge disadvantage when it comes to ports. Obviously we need more info on the NX(or now its probably new name, the iphone 8), but the rumors don't put it in a good place of recapturing the dwindling market that actually spends money on video games. @Sir_JBizzle "And a reveal in November means preorders would open up around that time. It's the holiday shopping season, so it might entice folks to drop the money while they're out and about..."
This was it. You are the first person I've read mention pre-orders of any type, and tieing in NX w/ holiday shopping is the 1 reason I can think of for getting the console out in March rather than say summer. I'm going to keep this in mind and look for a mention of pre-roders at the end of the reveal. Well unless it reveals it January or February, then I probably won't bother looking. @Rin-go I read Push Square too, since I own a PS3. Comments on there are mostly positive. Yeah, the presentation wasn't wowsers, but people still pick it up this holiday. I mean remember how much the Xboner got slammed when it was revealed at E3? It still outsells the WiiU about 10,000 units to 1. Sony is going to stay the market leader. They are getting their system out during the holiday, and before MS and Nintendo's next system which are releasing next holiday. That's a huge advantage because most people have 0 patience. @XCWarrior But the majority of gamers want power. And they'll buy a PS4 or X1S regardless of if NX is 10x more powerful than Pro and Scorpio combined. B/c Nintneod will get 3rd party games - Sonic, Just Dance, DQ, hopefully some FF - but I don't see it ever getting GTA or TtianFall or Destiny, certainly not Halo, Gears of War and Forza, which is why gamers buy X1, and certainly not Uncharted, God of War or Gran Turismo, which is why gamers buy PS4. So even if NX has the power like He-Man, and even if it gets games like Madden and FIFA which it really really needs, gamers are still going to buy either X1S or PS4 for their exclusives, and then they'll just buy sports and FPS on them even if NX has them. So what can Ntineod do? Well the handheld market is their's, so double down on that. And if you can have the handheld do TV out, so much the better. And if your handheld can't do TV out b/c it isn't powerful enough for 1080p, build a box that can, call it NX Player. I agree it needs X1S power to get Madden and FIFA, but luckily X1S isn't all that powerful to match, even for a 720p handheld. But NX isn't getting anybody to switch from MS or Sony, it's best bet is as a cheap 2nd console w/ great exclusives and enough sports games that people buy it. It's not really about the power, that's just nonsense from self described gamers who were never going to buy 1 anyway, and if they did, it would only be as a 2nd console for SSB and Mario Kart. @TheWPCTraveler Super Mario Run is going to be downloaded more than a billion times this holiday, making it the best selling game of all time. If people were willing to give Pokemon Go $100 on day 1, no questions asked, they are going to pay whatever for extra jumps in Mario Run. Pokemon Go's success caused a major thought change over at Nintendo. That 3DS Direct last week proved that. Look at all the 3DS games we are getting for a system that is older than WiiU. Why? Cause it's cheaper to just keep on making new games for an old system then push out a new system. The past two weeks have raised major red flags in my eyes on NX. I stand firm in my belief that it will not be released in FY2016. Nintendo has been delaying things for decades. They very rarely hit their target dates. Look at Fire Emblem and Animal Crossing mobile - delayed. Zelda BOTW has been delayed about 28 times now. Nintendo's slogan is "Please Understand." So "Please Understand" that there is a delay coming for NX, and it will be holiday 2017 so they can show it off at E3. @rjejr Agreed. I know somewhere this morning I posted that NX needs to cost $150, no more, to be competitive in this market. I'm fine with it being a hand held that does TV out. We are in complete agreement. And yes, I need it to have sports game. Though at least we are getting Mario Sports Mix 2 or whatever for 3DS this spring. I need my baseball on the go. I agree also NX is at best a 2nd system.... but it has to be appealing unlike WiiU so that people actually want a 2nd system. @ThanosReXXX "I would kind of expect even someone of say, 18 or 19 years of age to understand how certain things work and would be able to apply logic to some topics." Logic doesn't exist anymore, our entire western society is based on raw emotion. There is no thinking about things just go with your emotional reaction. Look at the reactions to various stories that become big(mostly with twitter and facebook) no one is stopping to think or look at the situation rationally it's just raw emotion. And if someone ever does provide a logical response they're shouted down by an angry mob. Most people can't even spot an invalid argument or even know what that means. Not to mention how unimaginably the education system, well in the US not sure how europe is doing, is utterly failing even at the college level. @rjejr of course January or February makes just as much sense, especially if the thing is already ready. I mean from reveal to POS for the PS4 Pro is only two months. Of course my thinking is after December, unless you're banking on some tax refund or have money to burn, or you got a bunch of money for Christmas, you're not thinking buying another $400 piece of hardware after the holidays, as you already spent all your money holiday shopping. I think someone mentioned a trickle of info up until launch, but I which I can see that scenario as well. Initial reveal, followed by the a series of Directs touting various features and line up of games. @XCWarrior All sounds good. Though I do worry about the price. I've been throwing prices out there for both hybrid bundles and separate home and handhelds and I think I'm always around $199, $249, $299 depending on the configuration. Which I'm ok w/ if it's new ideas launching in March. Nobody except early adopters are going to buy in March anyway, might as well see what they can get, then lower the price $50 for the holidays if need be. And I think there will be a cheaper tablet or handheld to replace the 2DS, maybe by holiday 2017, that could be $149 or $129. Of course it really is hard guessing prices on something we aren't even sure what it is. That's the part that gets me. Sure, Sony announced PS4 Pro only 2 months before launch, but it was leaked, and we all know what a PS4 is, I think only the lack of ultra drive was a surprise. But Ninteod not even saying if it's a home console or a handheld or a hybrid 6 months before launch is kind of crazy. "will receive Nintendo's next video game system, code-named NX"
So we know it's a video game system, but system is a word you only use if you are trying to use a word that can mean 1 or many, like sheep. If they weren't trying to hide it they would have just said "console". Or "player". Or "device". They probably wanted to use "platform" but realized that sounded stupid. So even if they dint give us every detail, I wish Miyamoto or Reggie or Bill Trinenen would at least say "NX is a home console" or "NX is a handheld" or "it's not a console or a handheld, you figure it out" w/ a sly smirk. I think they should at least acknowledge that much, how are Sony or MS going to steal that? But at least we would know if we need to make more room near our TV or not. @Sir_JBizzle I kind of just wrote the same stuff replying to somebody else. But I still want to know. @XCWarrior It's not just optimism, it's mostly realism. I come from the deductive reasoning school of thought, as far as I'm concerned the ONLY right way of thinking, and what I have been telling you is the conclusion that it leads to if you take all the facts and statements and use logic to build a most-likely-to-happen scenario around it. And what the majority of gamers want is not power, otherwise they would safe up cash to buy a high end gaming PC that will even destroy the Scorpio, since like I told you before there are already 8TFlop PC's and the end isn't in sight yet. Console gamers will be "stuck" with a 4.1TFlop PS4 Pro and a 6TFlop Xbox One Scorpio for years to come, so serious PC gamers will probably be at 10 TFlops by then. No, what the majority of gamers ACTUALLY want, is convenience and to be taken seriously. They want convenience in the shape of all games on their platform of choice (one of the very reasons that some idiots are always advocating Nintendo should go third party, because it is apparently beneath them or whatever to actually buy a Nintendo console for the games they want) and they want to have the cool item and also to be seen as cool, and apparently you can't be cool if you buy a Nintendo console. Because all gamers are convincing themselves and each other that a Nintendo is a kid's console, so if you're over 14 years of age, you really can't be seen with one of those anymore for fear of being ridiculed in school or at your job. One final point: those rumors you mentioned (lower than or equal to Xbox One in power, weird architecture) are old and originate from ms. I don't know Jack Sh.. Emily Rogers and they have long since been debunked. The latest and most talked about rumor currently is a power level between PS4 and PS4 NEO/Pro, so that is more than okay, and another thing is the SCD's (Supplemental Computing Devices). I am quite confident that these will actually happen, and some of my own sources also say that this is the case. These devices could bump up the power of the NX to Scorpio levels, so no problem there either. What I've gathered so far (been seriously digging for two weeks now, and have spoken to some interesting people) all supports Nintendo's own official statements coming from the financial reports and other things they said that underline these statements. @Yorumi Agreed in part. That raw emotion is something that is, in my opinion, more prevalent online because people are anonymous and think they can say whatever the hell they want because there will be no consequences (or less grave ones). When I talk to people face to face they are never as harsh as some people can be online, even if they don't agree with me, but online I have to accept crap from kids not even a third my age, talking to me like we've went to the same school or something, whereas in real life I'd probably smack their faces and tell them to mind their manners. And don't worry about the education level: it's the same here, so the entire Earth is screwed in the near future. It's going to be filled with two or three demographics that will be even more divided than the average generation gap we have now. @ThanosReXXX I've always believed the anonymity of the internet reaveals a person's true character. People hide this face to face cause like you said you'd probably smack them(and they would deserve it). Character is how you act when no one is looking, and being anonymous means they think no one is looking. I would also just add one thing to #140, there is a set of people that wants to see a nintendo 3rd party just cause it gets hard to buy a nintendo system just for 5-10 nintendo games and hardly anything else. That's actually why I like the hybrid idea for NX, it means we'll likely have a pretty good library. @Yorumi Well, being in the profession that I am in, I can smell a BS'er from a mile away. Me personally, I don't act any different than I do offline, so maybe it's an age thing, or maybe a pre-internet thing, I don't know. But it does always amaze me. Also the thing about people thinking I took all that time to flesh out my profile with a lot of lies, because obviously, I'm not really 46 years old, but a kid pretending to be a grown up in order to be able to overrule the actual kids. @ThanosReXXX well of course you put all fake info in your profile, it's all one big conspiracy to show up the kids on NL, lol. The main thing with the NX for me is games, that's it. I'm fine with gamecube or even n64 level support. I just won't be able to justify buying another wiiU. @brandon9271 how do they do it? @ThanosReXXX I hope NX in terms of power is more than PS4/Xboner and close enough to PS4 Pro/XBiggerBoner. I agree, people want convenience, but they do like very pretty graphics. And with convenience comes a simple controller. So NX's better be closer to a Wiimote and about as far away from a Gamepad as possible. My wife is a prime casual gamer. She'll pick up a wiimote and play with me. She avoids having to use the gamepad for anything but Netflix at all costs. @Sir_JBizzle I was just in Target buying a birthday gift for my godson and there was a hipster in a gray Nintendo polo shirt dragging a bag behind him taking account of all the Nintendo stock. So many questions I wanted to ask him, but I just left him alone. I didn't want to feel responsible when he went and slit his wrists, leaving a suicide note behind that just said NX a 100,000 times. @XCWarrior But to be honest, I didn't think the Wii U GamePad was all that difficult. It had just as many buttons as the average joypad, and the special editions of the Xbox and Playstation controllers had even more buttons. One good thing for Nintendo is this announcement seems to me to have got a much more positive reception than the rest of the Apple conference (where they test their fan base again to see if they'll pay even more on top of the cost of the phone for the privilege of being able to use headphones) and Sonys utterly underwhelming PS4 Pro/Slim reveal (a tremendous ad for the Xbox One S). A rumour in Brazil says that NX is not a console but a platform concept which different hardwares connect to each other, something like Continuity from Apple. If that's true, maybe we'll have a handheld and a robust dockstation to increase the power of the new console. It also will use Vulkan API. @Yorumi I'm really tempted to ask you if you act like a Glaceon anywhere. Of course, you don't act like one here, so it's hard to believe you do so anywhere else. @XCWarrior They're not going to do Pokemon Go nunbers purely because they're a timed exclusive on iOS. That said, I am confident that Super Mario Run will have a more direct impact on their bottom line. A 60% take of all revenue instead of, say, 15%, will make up for the smaller install base.